To me, chicken is one of those ‘fake it til you make it’ dishes. It often doesn’t stand a chance on restaurant menus when it’s up against the grilled branzino, braised beef short ribs or a perfectly cooked duck breast. Sorry chicken, you can be boring. So we have to dress it up. I love pesto. I consider it a flavor powerhouse in that it packs a punch for just a teaspoon. 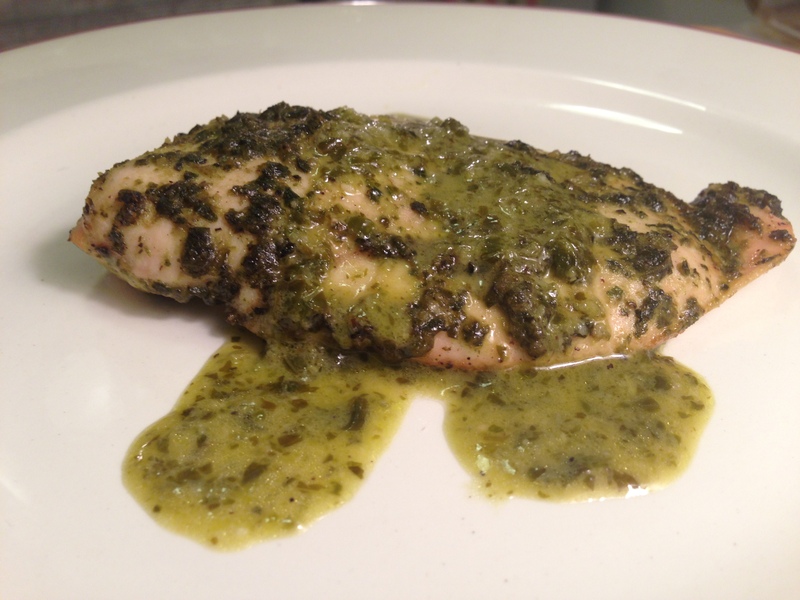 Enter my goat cheese stuffed pesto chicken with matching lemon sauce. 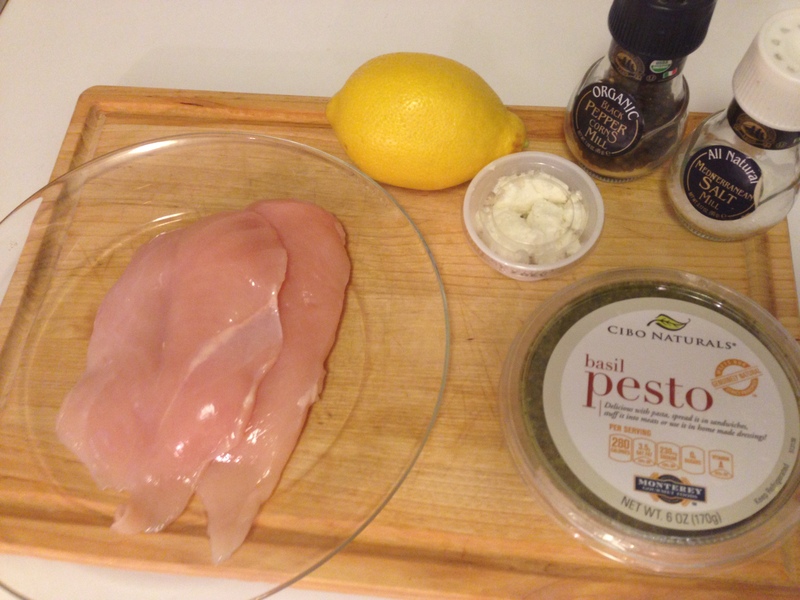 And don’t worry, you can buy pre-made pesto to save time. The preparation took under 20 minutes and because it’s chicken, it’s wallet friendly. 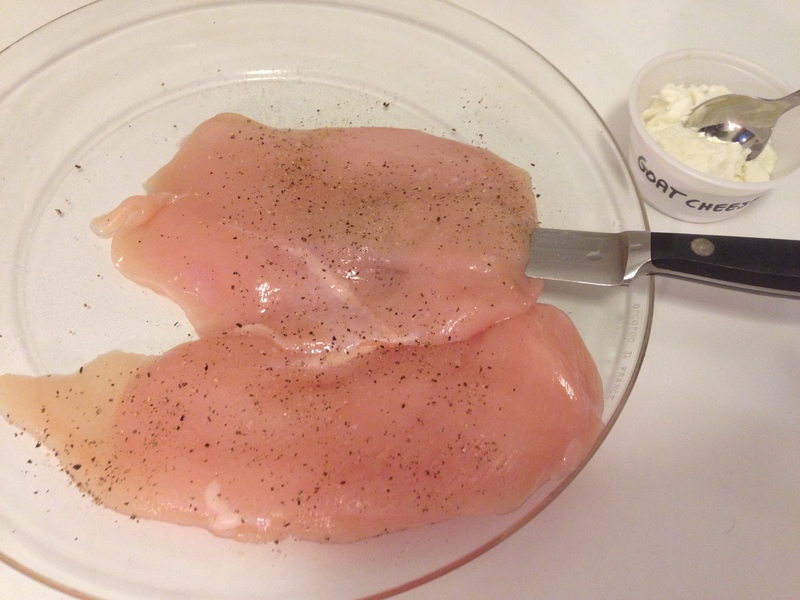 Start by cutting a small slit at the top of the chicken breast and insert your knife to create a pocket. Using your finger, stuff the goat cheese inside. Season the chicken with salt and pepper on both sides when complete. 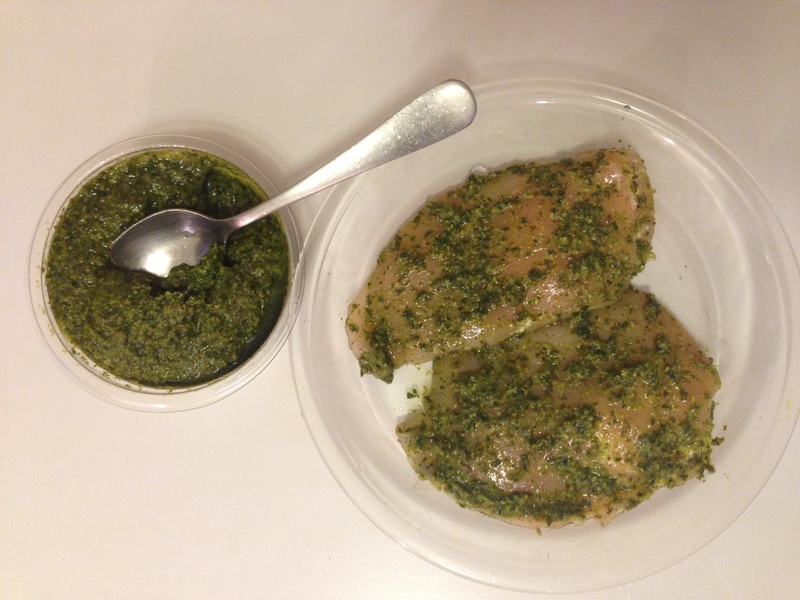 Add about 2 tablespoons of pesto (I like basil pesto) to the chicken (enough to coat it evenly). You can let this hang out and marinate in the fridge for a few hours or you can go right to baking it. In a preheated 350 degree oven, bake the chicken for about 20 minutes. 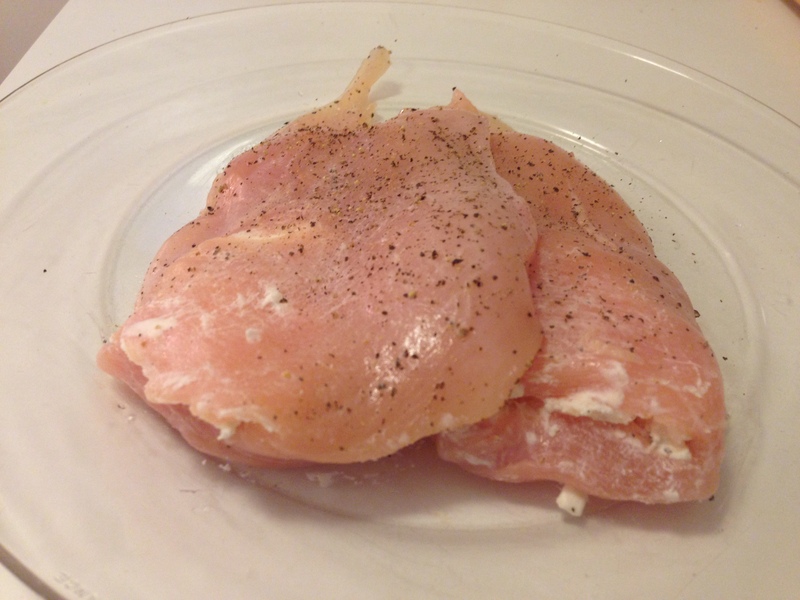 I always buy thinly sliced chicken breasts but if you prefer the larger breasts (which most people do–pun intended), they will require 10 minutes longer to cook. Keep that in mind. I also always cook for at least two. I too often hear from my friends in small apartments that it’s too much effort to cook for only one. Then don’t. Cook for two and you have another meal saved for a later time. Or get a lover. Problem solved. Because chicken can be boring, I like to always add a sauce to it if I can. I never skimp on an opportunity to sauce things up. So here we go. 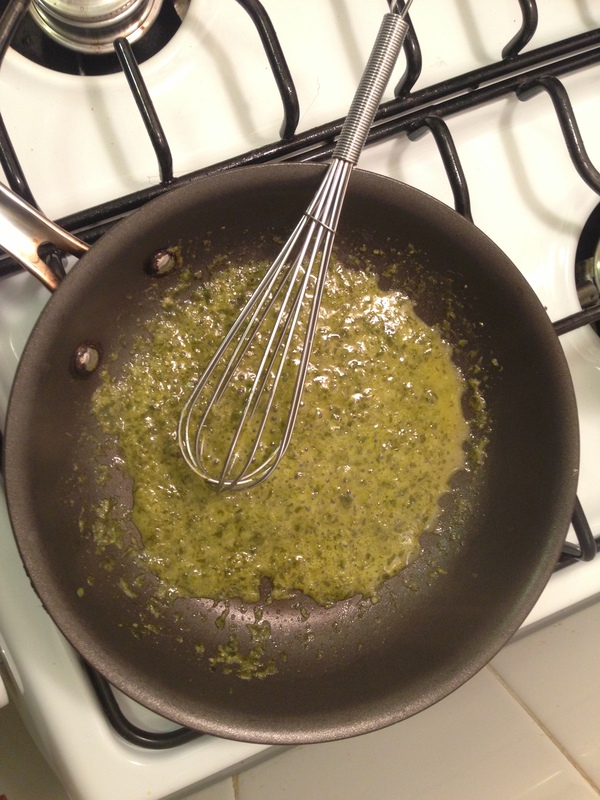 In a frying pan, add about 3 tablespoons more of pesto. Add the juice of one lemon and whisk over low heat until it gets bubbly and hot. That’s it. 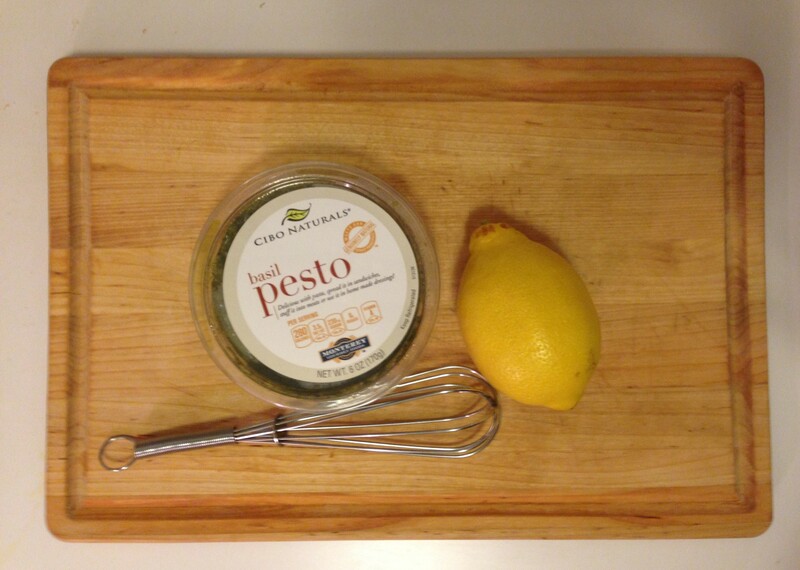 I love how lemon brightens everything up and complements the tanginess of the goat cheese. It’s yummy. Fieldhouse Fun Fact: The three things I couldn’t do without in my kitchen: extra virgin olive oil, a radio and wine. Recommended side dish? 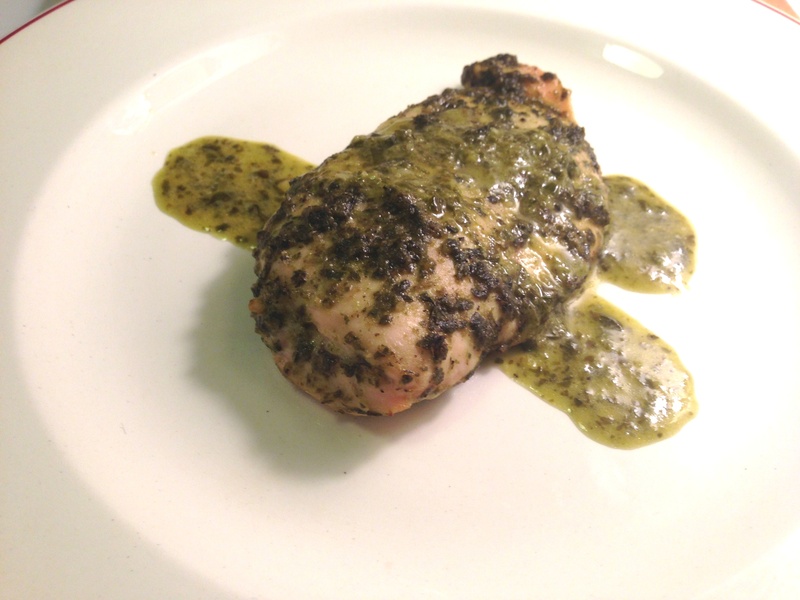 Try pairing this chicken with my Roasted Cauliflower. 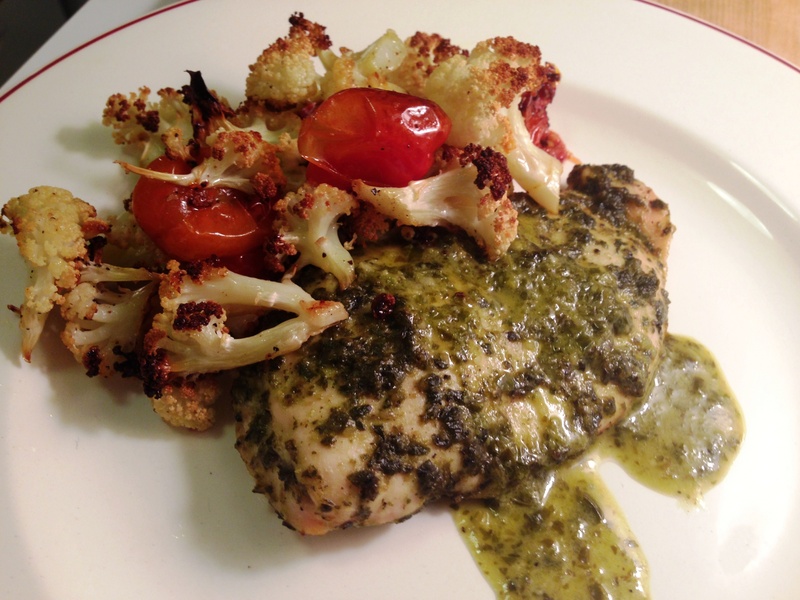 The tomatoes in this cauliflower dish pair well with the basil pesto.